When looking for groomsmen gift ideas, many guy instinctively feel that a flask might be just the right thing. Usually, they’re right – but have you ever stopped to think about why? I’m going to break down a few of the key reasons why they make sense. Hopefully this adds some clarity to this important decision! Whether magic moments at the end of epic nights, shared commiseration, or more likely both, chances are you have shared some important memories with the guys standing next to you on your wedding day while buzzed. Chances are those are the moments you love rehashing the most when you all get together. And chances are you would like the opportunity to make some more of those memories in the future. Flasks both serve as a reminder of those important moments gone by and help facilitate future fun. Not to mention the flask you give your groomsmen will always have one memory above all else attached to it – your wedding – every time they look at it. Which brings me to my next point.. When thinking of groomsmen gift ideas, or really any gift ideas, maybe the most important consideration is, “Will they actually use this?” If our gifts go unused, collecting dust on the shelf or in the closet, what good are they? Sure it’s a nice gesture, but in addition to showing appreciation the purpose of a gift is so the recipient can think of you when they use it. Let’s be honest: even the most seasoned alcoholics probably don’t use a flask everyday. But situations come up often enough where a flask is just the perfect complement that your bros will have plenty of opportunities to use them. Let me go ahead and state the obvious here: weddings are really expensive. Especially in this day and age. In a world where the price of everything goes up by at least four times when anyone hears the word “wedding,” you have to seize every opportunity to save a few bucks. 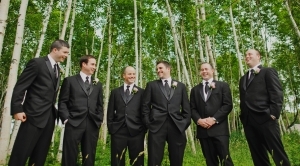 According to The Knot the average groom has one to six groomsmen. 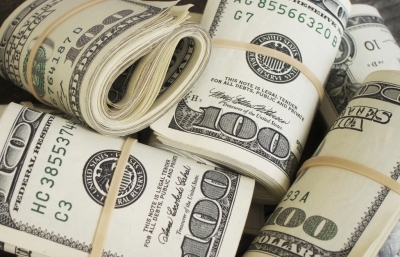 The price of any gift has the potential to add up fast when you multiply it by six. A flask on the other hand should cost no more than $15 – $50, even for a classy, high quality option. After seeing all the rest of the bills, any cash-strapped couple can’t be blamed for salivating at the prospect of getting their groomsmen gifts for under $100 total. Is this the right groomsmen gift idea for you? Check out some other groomsmen gift ideas..
Maybe I didn’t convince you. Hey, you can’t win them all. You can at least check out some other ideas in this Reddit thread about useful and long lasting groomsmen gifts.